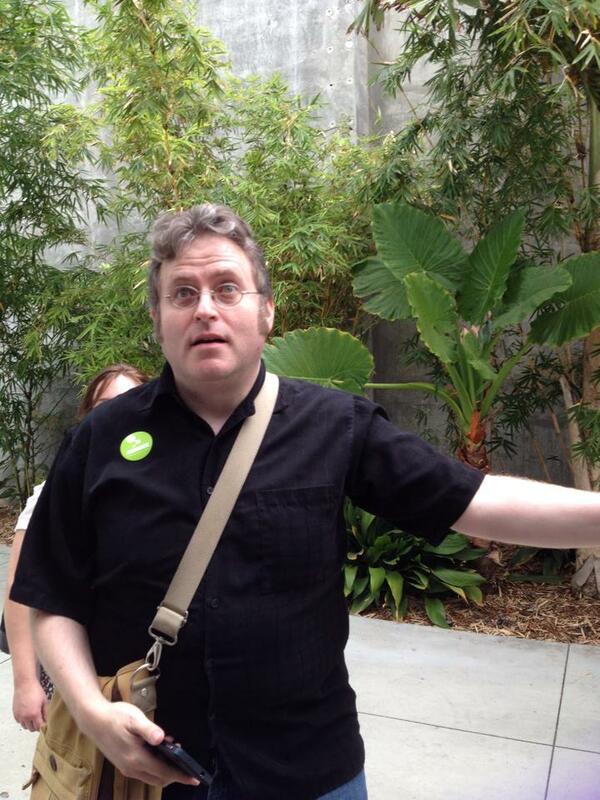 Upon first entering the Samuel Oschin Pavilion at the California Science Center, the above is what you see. Endeavour, in all of her glory. I’m sitting here, two days later in an attempt to write about the experience I had this past weekend…and I just keep looking at the pictures. I’ll be honest, I’ve seen other spacecraft before, such as Apollo orbiters and lunar modules, but the space shuttle is special to me, as it’s an indelible part of my childhood. I felt like I grew up with the shuttle program, as we watched all the early launches in school (including the Challenger), and felt inspired by the numerous journeys of these marvelous machines. 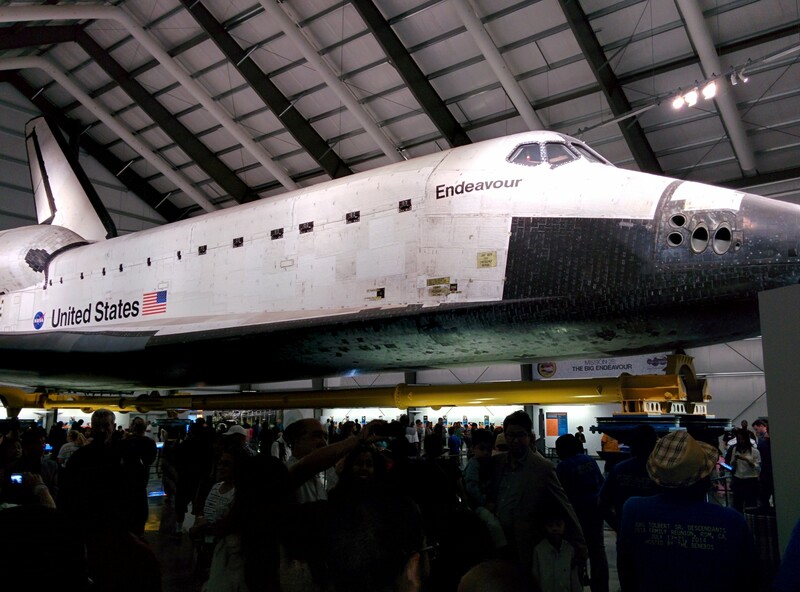 Even though the Endeavour arrived here in Los Angeles around two years ago (I was able to personally see her fly by and land at LAX, but not her trek through southern LA to her new home), I’d not yet gone to see her in person. Thankfully I rectified that this past weekend. 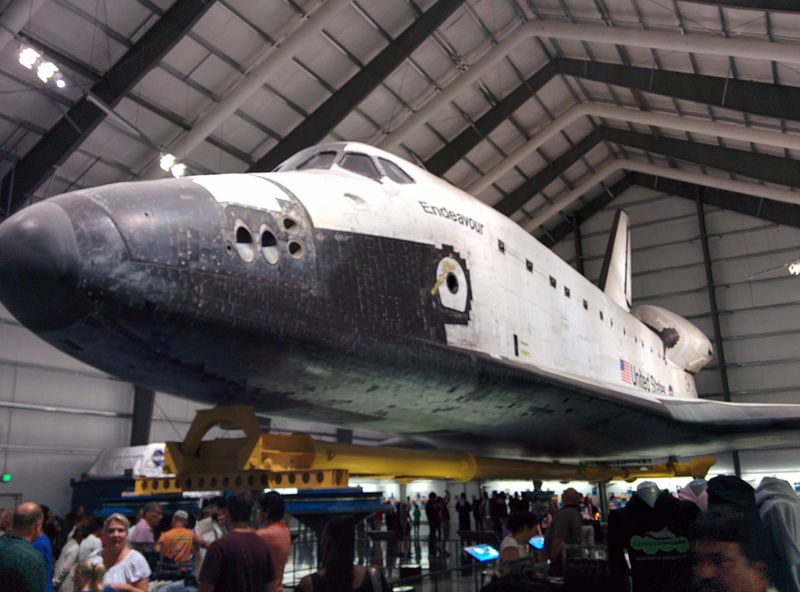 While the Endeavour’s new home is being built at the California Science Center, her temporary home is in the aforementioned Samuel Oschin Pavilion. 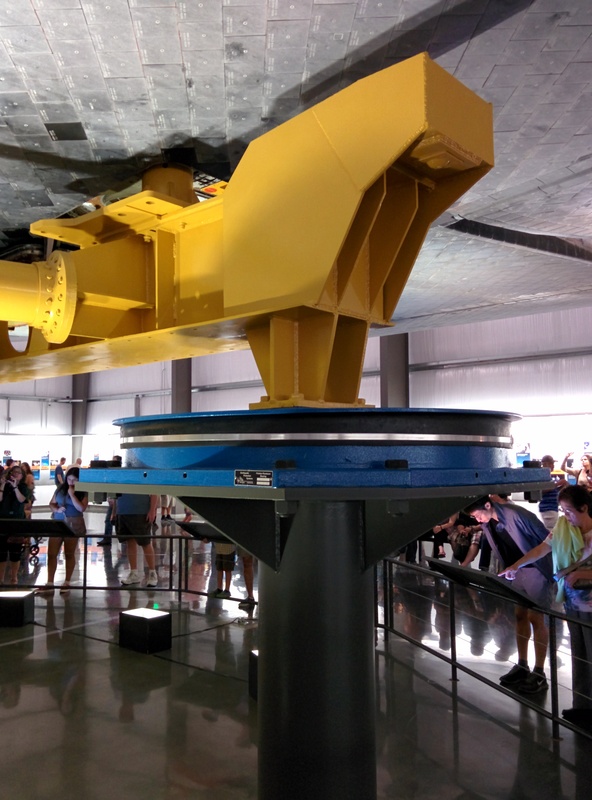 This massive hangar-like building houses not only the shuttle, but quite a few other fascinating things such as a shuttle’s engine, the history of all the shuttle flights and so on. Of course the first thing you see when you walk in is the Endeavour herself. I was in school with my classmates, watching the Challenger launch live when she met her fate only seconds into her flight. It was a very formative event for me, as it was the first time I truly realized that there were risks with spaceflight (beyond the fictional stuff like aliens and the like). I remember clear as day how quiet the classroom got, the silent weeping of some of the students, the way the teachers quickly turned off the TV and so on I then turned around and looked back at Endeavour, imagining such a craft coming apart the way Challenger did. It was a very sobering moment, but it was also a moment that reminded me of what we achieved afterwards, how the shuttle program continued in the face of the tragedy and survived for decades more. Eventually, I slowly made my way around the entire shuttle, trying to take her all in. Visiting the Endeavour made me feel a surge of pride at the amazing achievement that she and her sister vessels represented. 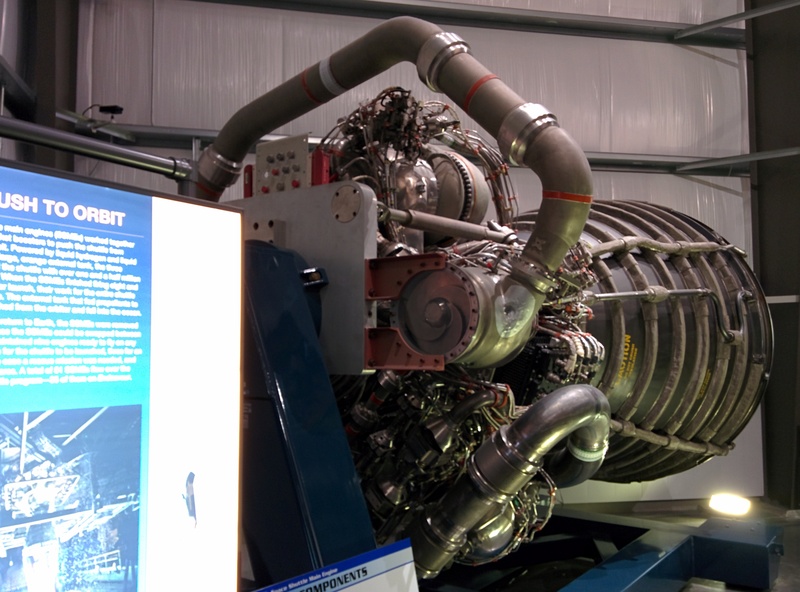 The amazing engineering and technical ingenuity required to make not just one, but several of these craft is a proud moment in human history, and in turn, it just saddened me further to know that these great craft have been grounded forever. 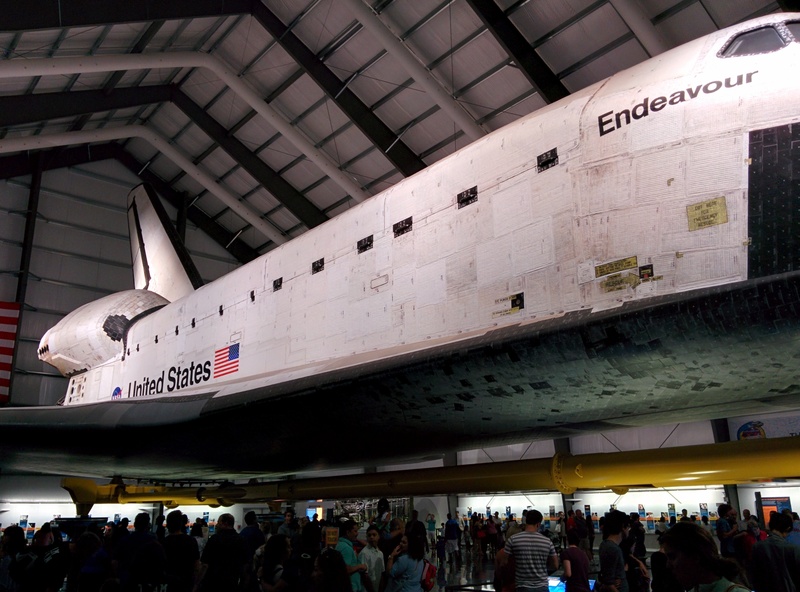 That aside, the experience of finally visiting the Endeavour makes me kick myself for not visiting her sooner. I was just emotionally floored by being in the presence of this amazing aircraft, and still feel a bit overwhelmed by it all just in looking at these pictures. If you find yourself anywhere near one of these amazing craft on display (Space.com has a rundown of where they are), do yourself a favor and check it out. Thanks for reading folks. 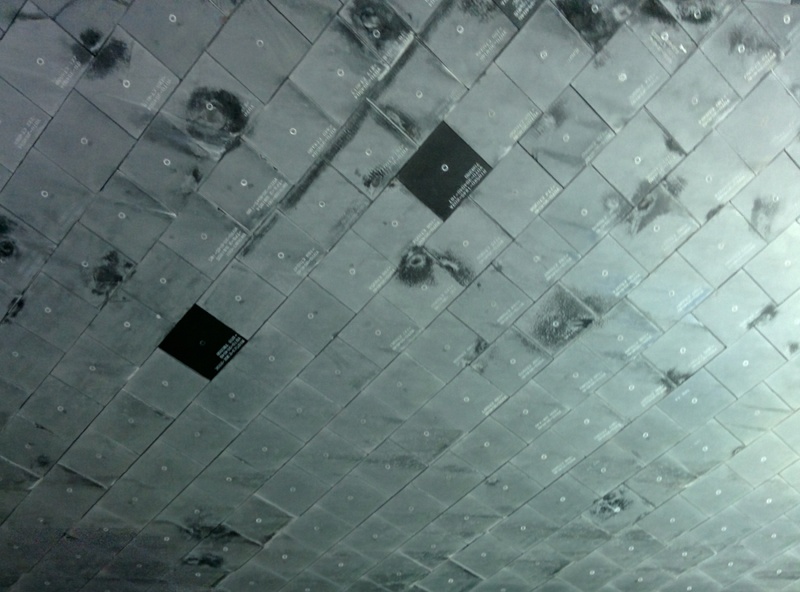 :) I hope you enjoyed the article, and that it gives you even a sliver of how it felt to see this amazing spacecraft up close. I actually just got back from New York and saw the space shuttle Enterprise. Ohhhhhh, lucky!! I kinda wanna see that next. Previous story Multiplayer X-Wing vs. TIE Fighter: Success, and So Much Fun!